The Maharaja of Ickhtarpur loves to drink up the water in his fingerbowl. 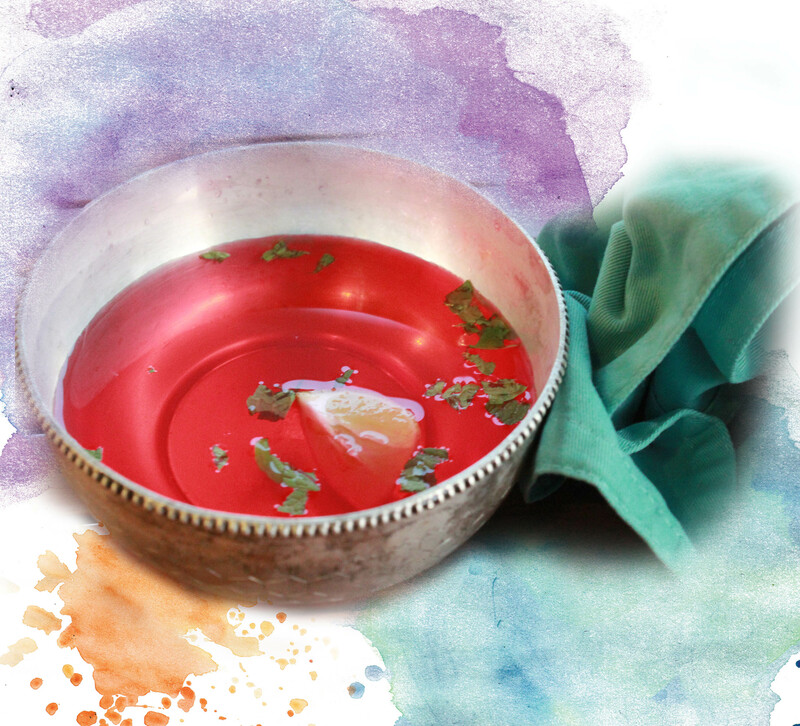 With temperature soaring across many parts of India, here is our version of a fingerbowl sherbet to cool off with. Pour the rose sherbet into the bowl. Squeeze a few drops from a quarter of the lemon into the bowl and then throw in the quarter. Our icky fingerbowl sherbet with a squeezed out lemon and bits of food floating around is ready! An afternoon of whipping up cupcake batter turned into an Icky baking session when it was time to ice the cupcakes! For batter and butter makes for one messy session! 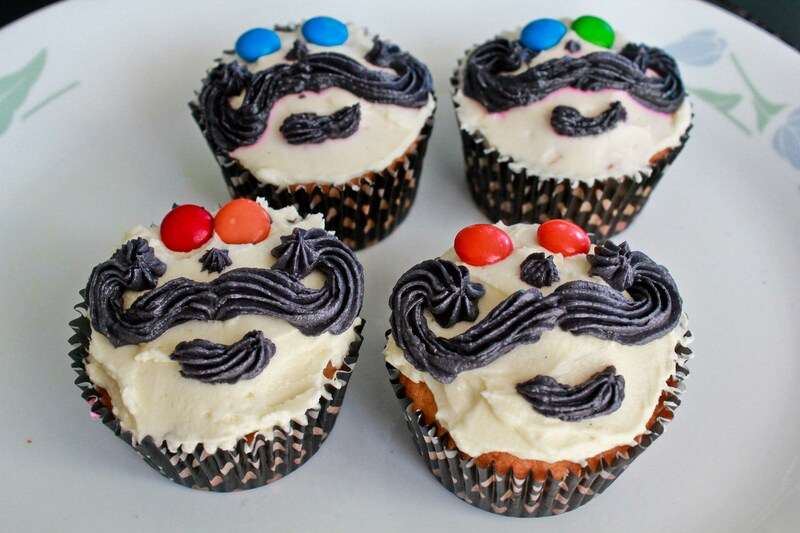 We turned out Maharaja Moochh cupcakes and the boys were so thrilled to munch away on the moustaches. 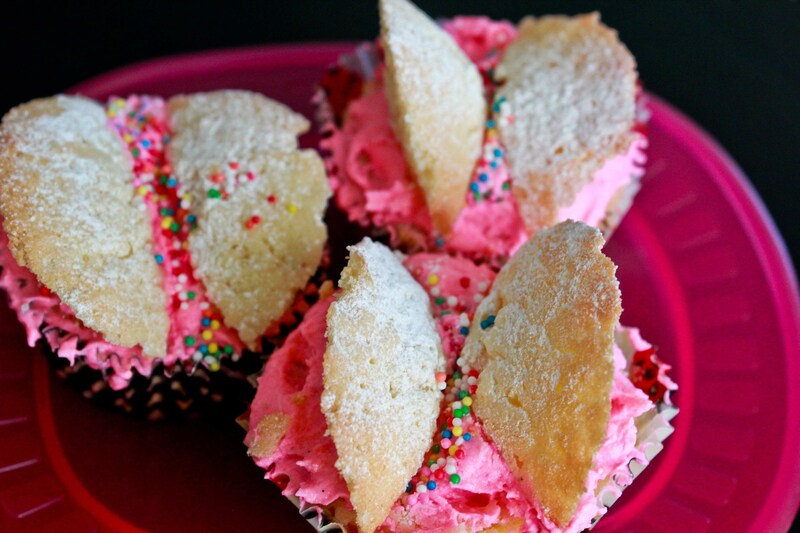 The girls decided to do a bit messier version of fairy cupcakes and make do for the moment till we get around to a nibbly Maharani cupcake…though those crescent things on top could be nibbled off nails instead of fairy wings! Calling all parents and children to get inspired, get baking and icing and get clicking. 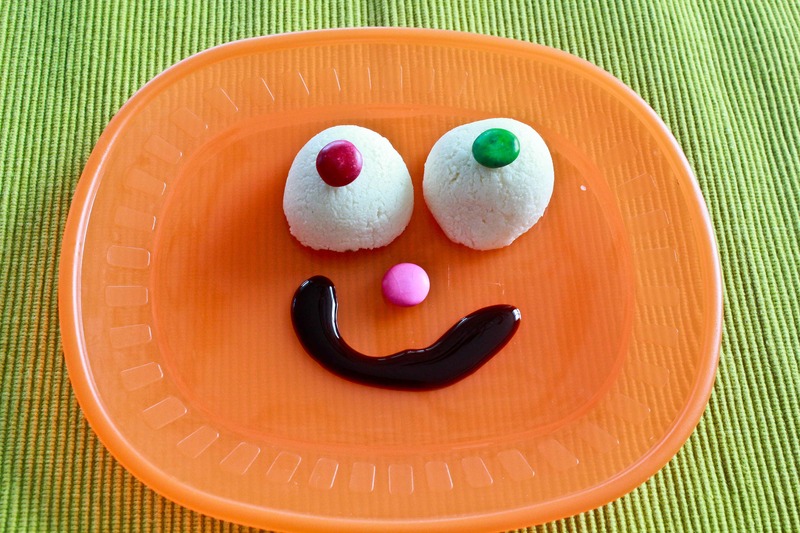 Send us pictures of your creations that are Icky, Yucky, or Mucky to ickyyuckymucky@gmail.com. We’ll be thrilled to put them up on this blog! 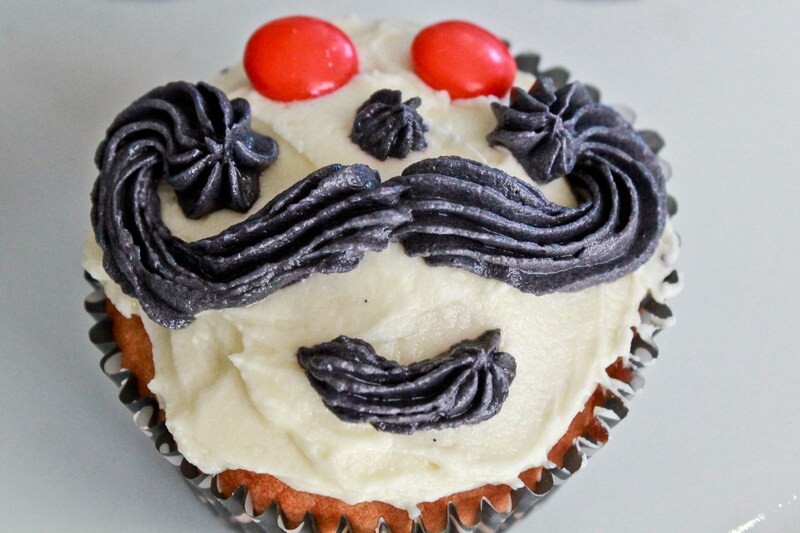 For cupcake recipes and much more, check out the Purple Foodie blog. The nutella cupcakes look positively messy, delicious, and a sure hit with kids! It has been a while since we put a post up about an Icky recipe. Well, the Maharaja’s hungry now! 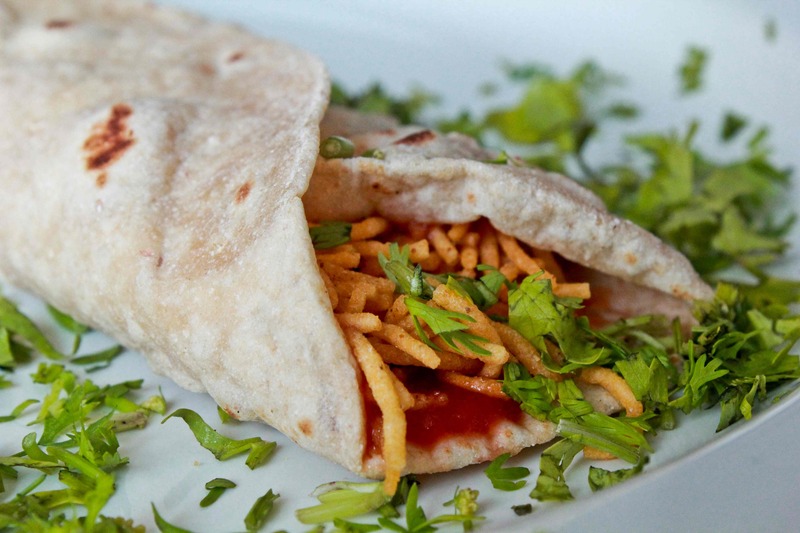 So do you love to stuff your face with roti like Maharaja Icky? Here’s an easy way to make a great oozy, crunchy snack and stuff your face silly. Place the chapatti on a plate and spread two spoonfuls of the chutney or ketchup in a broad line along the centre of the roti. Sprinkle on aloo bhujia on top of the chutney. You can put however much you like. Add on the chopped coriander and roll the roti up. Wrap a tissue around it and chomp away. On second thoughts, forget the tissue…its Icky time! Maharaja Icky loves to squish up his food and make a mess. 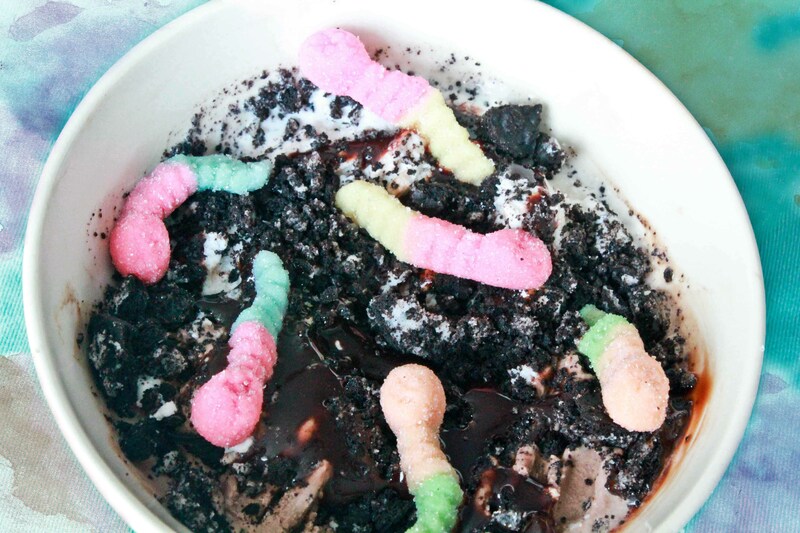 Here’s how to make a mushy sundae of chocolate mud with a few worms crawling around. Put two (or three!) scoops of ice cream into a bowl and mash it for a bit. Swirl the chocolate sauce on top and over the edges. Crush the biscuits and drop them onto the top of your mush to add some rocky crunch. Swirl a bit more of the chocolate sauce to make some muddy pools. Place your gummy worms on top. Pick up your spoon and dig in!